​Amidst the furore over the Huawei 5G decision and New Zealand’s increasingly turbulent relations with China, it would be easy to overlook the news that the leader of another important Northeast Asian partner is visiting this week. South Korean president Moon Jae-in has touched down in Auckland for a two-day state visit on the way home from the G20 meetings in Argentina. 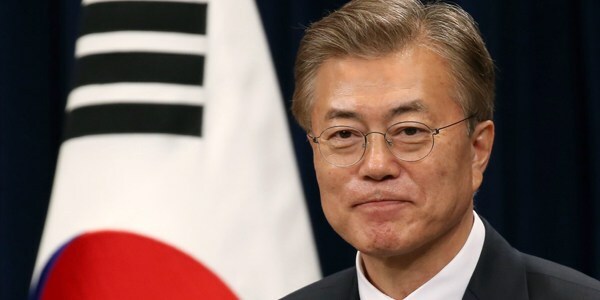 It marks the first visit by a Korean president in nine years. The visit promises some respite for the Ardern government after a bumpy few weeks in its Asian diplomacy. One important focus of talks will of course be the situation on the Korean peninsula, which has seen a roller coaster 12 months of nuclear crisis and unconventional diplomacy. President Moon will be keen to enlist New Zealand’s support for his efforts to engage North Korea, including plans for a summit with Kim Jong-un in Seoul, possibly as soon as the middle of this month. His government is working to re-establish links between north and south and looking for ways to offer North Korea economic incentives without violating UN sanctions. He is likely to get a sympathetic hearing. Foreign Minister Winston Peters’ interest in North Korean issues is well known and Prime Minister Ardern will welcome the chance to play up her government’s disarmament and anti-nuclear credentials. Perhaps aside from a few of its Pacific neighbours, not many countries treat Australia as a major power. But that is exactly what New Zealand does. This means that Australia constitutes more than New Zealand’s most important diplomatic relationship, as significant as that may be. 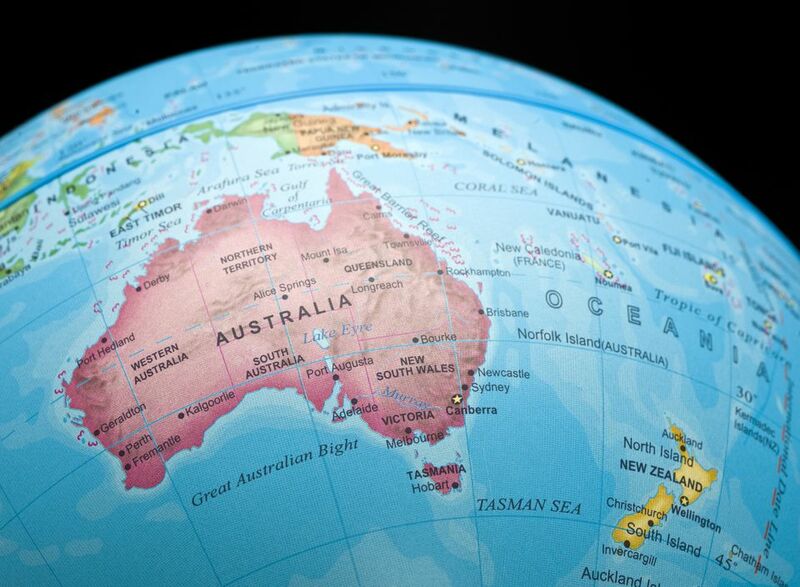 It also makes Australia essential to explaining the foreign policy choices New Zealand makes beyond the trans-Tasman relationship and how these choices are depicted and understood. There are three ways of viewing Australia's significance to Wellington. In the first instance, and most obviously, Australia is a partner with cooperative endeavours in all sorts of functional policy areas. But secondly, Australia is also something of a competitor for New Zealand: contrasts with Australia, and how Australia does things, are often used to define New Zealand as a distinct foreign policy actor. And yet thirdly, Australia is also a facilitator for New Zealand foreign policy: Australia helps provide space and opportunities for the choices that Wellington makes. Yet none of this is automatic or inevitable, and in the current circumstances of global and regional flux, nobody should assume Australia’s role can be assumed as a given. 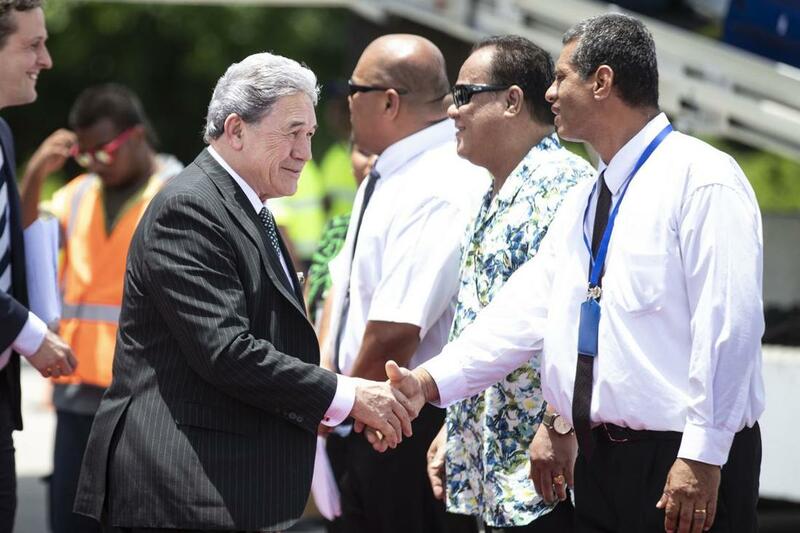 ​This week Prime Minister Jacinda Ardern and Deputy Prime Minister and Foreign Minister Winston Peters are in Nauru attending the 49th Pacific Islands Forum. 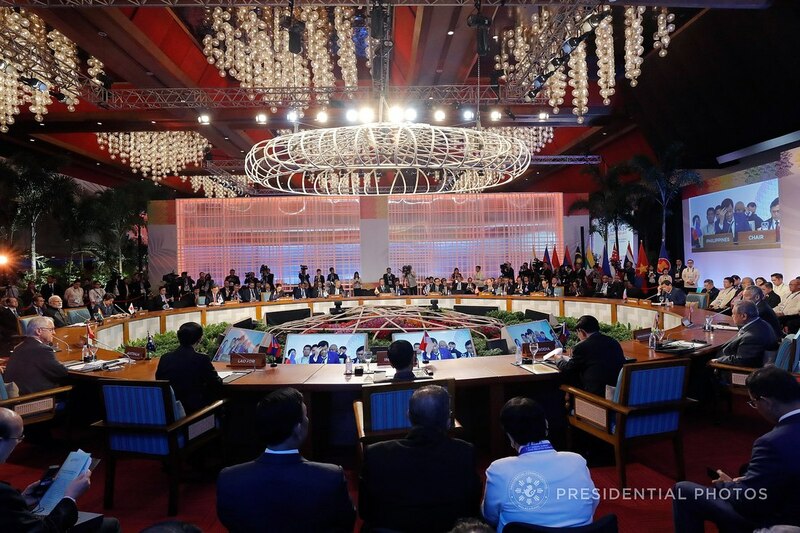 Against the backdrop of well-publicised strategic anxieties and foreign policy recalibration towards the Pacific Islands here, here and here, this year’s pre-eminent annual meeting of regional leaders is shaping up to be particularly interesting. First, a new security declaration, known as Biketawa Plus, will be launched. This will be the newest addition to the regional security architecture since the Biketawa Declaration was signed eighteen years ago. The 2000 Biketawa Declaration is best known for mandating the fourteen year-long Regional Assistance Mission to the Solomon Islands (RAMSI) and the new declaration, likely to be named the Boe Declaration after Nauruan Prime Minister Baron Waqa’s home district of Boe, seeks to expand both regional cooperation and the concept of security. ​The Ardern coalition government has chosen an awkward moment internationally to release its first big picture view on world affairs. The primary purpose of its 2018 Strategic Defence Policy (SDP) Statement is to demonstrate why NZ requires a suite of identified military capabilities. Although the envisaged costs are considerable, the statement presents a solid case for equipping NZ first and foremost for credible stewardship and protection of its ‘near abroad,’ from Antarctica to the Equator. The presentation is clear and concise. In addressing the wider context of NZ interests the document stresses the crucial importance of an international rules based order (in its 39 pages there are 33 such references) and the responsibility of the New Zealand Defence Force and security/intelligence community to strive to ensure the integrity of that order. Concern for rules-based order has of course traditionally been a first care of foreign policy advisers and the new statement gives a nod to NZ’s independent foreign policy. But it reflects more significantly the way in which national security agencies of New Zealand’s traditional partners now prioritise oversight of rules-based order as justification for their own international relations primacy, and for enhanced military and security capability to confront perceived threats. Is NZ now on the same pathway? 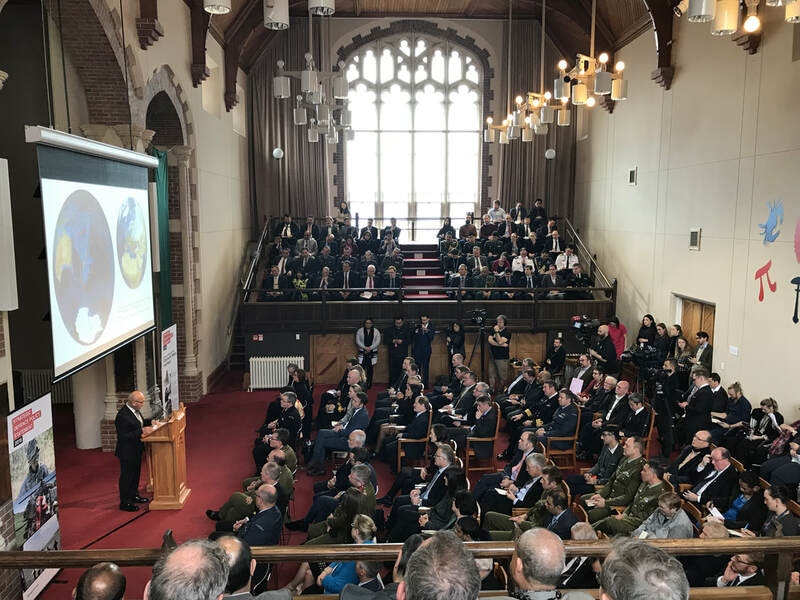 The buzz from New Zealand’s Strategic Defence Policy Statement (DPS) released last Friday has focused on its uncommon candor about China. According to a statement at the end of the document, the DPS was heavily coordinated across the government, and reflects a commendable shift in public tone. It’s on-trend with how other liberal democracies see the world today, and avoids doublespeak about threats to New Zealand’s interests. But there’s a more consequential and tangible challenge that the DPS also surfaces: the New Zealand Defence Force (NZDF) has what’s known in force planning as a strategy-force mismatch. That’s when the military lacks the resources to do what it might be asked to do. Where there’s a mismatch there’s risk—to lives, to values, and to international reputations. 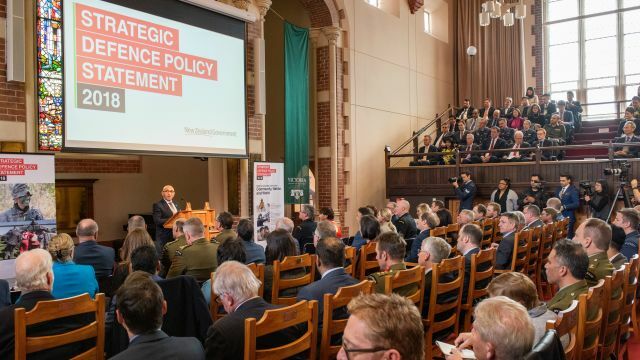 The government’s Strategic Defence Policy Statement, launched on Friday by Defence Minister Ron Mark, signals a new view of New Zealand’s security challenges. It sounds a more worried tone about the security picture in the Asia-Pacific and beyond. 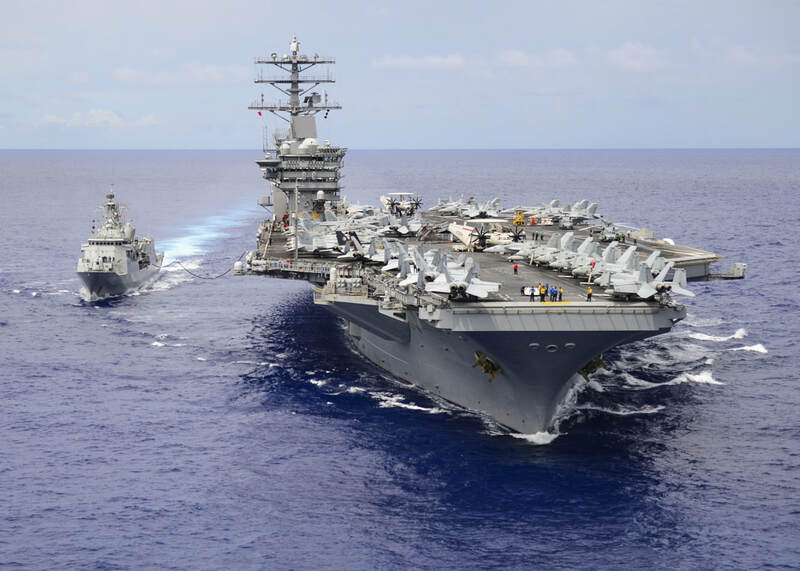 Perhaps most notably it breaks new ground with its frank language about China’s actions in the South China Sea and how it characterises the rising power’s wider ambitions. RCEP Rumblings: should New Zealand be worried? Negotiating mega-regional trade deals is hard going but there are few other attractive trade diplomacy options now that the WTO is in a negotiating coma. This is particularly true for small, open, trade-dependent economies like New Zealand. Too small to lead negotiations, too open to have many horses to trade during negotiations, demanding of high standards, and able to be jettisoned without too much effect. The long and winding road that has led us to the Comprehensive and Progressive Agreement for Trans-Pacific Partnership (the tongue twisting CPTPP) is testament to this reality. However, if the CPTPP does come into force, it will be the first preferential trade agreement reached by New Zealand that includes Japan (New Zealand’s 5th largest trading partner) and Canada (14th largest trade partner). CPTPP would also be an upgrade on existing trade agreements that include Singapore (6th largest), Malaysia (10th largest) and Vietnam (16th largest). Indo-Pacific dominates at Shangri-La: Where does that leave New Zealand? 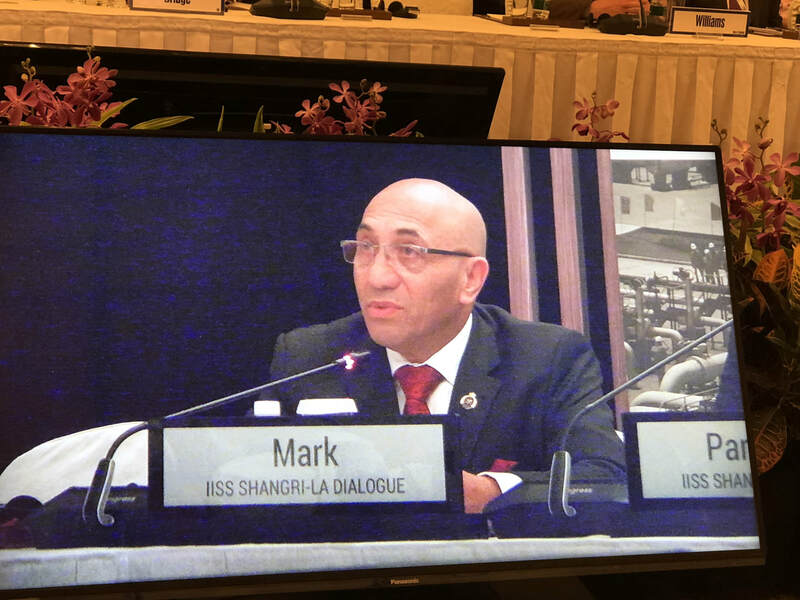 ​Defence Minister Ron Mark had a front row seat from which to view Asia’s increasingly fractious geopolitics as he attended the 2018 Shangri-La Dialogue in Singapore last weekend. The Dialogue, billed as ‘Asia’s Premier Security Conference’ brought together 40 defence ministers, and hundreds of senior military officers and defence officials for two days of intensive discussions. As well as the keynote speeches, panels and thematic sessions, national delegations used the sidelines of the conference to engage in diplomatic speed-dating with counterparts from around the region. Mr Mark’s dance card included bilateral meetings with Australian, Canadian, Chinese, Singaporean, Malaysian and British counterparts (among others), as well as a breakfast with US Secretary of Defense Jim Mattis. This year’s Shangri La Dialogue was in some ways ‘the summit before the summit’, coming just days before President Trump is due to meet North Korea’s Kim Jong Un just down the road in Sentosa. 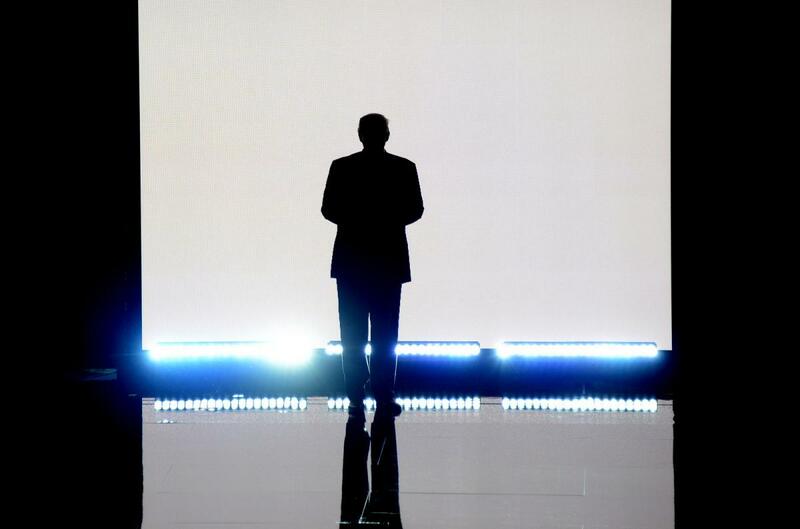 Perhaps because of that, North Korea featured less prominently than might otherwise have been expected. Instead, much of the attention was on increasingly sharp ties between Washington and Beijing, and on efforts to promote new ways of thinking about the region’s contested strategic geography. 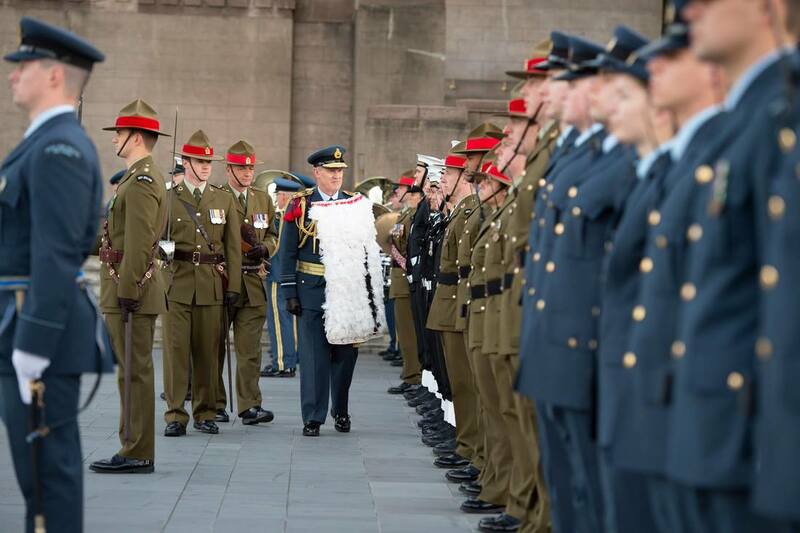 New Zealand’s thinking about its maritime interests and defence priorities has favoured a customary hierarchy. Local and South Pacific regional concerns come first and then we span out eventually to global commitments. But recent developments in the East Asian littoral and the Northern Pacific suggest this approach may run New Zealand into a hole. We may be at a strategic turning point in terms of risks to our interests and in need of a paradigm shift where policy settings can be adapted to the changes occurring in this wider maritime periphery. The idea that New Zealand even has a contested maritime periphery is not automatic in our thinking which emphasises our quest for well-governed seas much closer to home. Thanks to advances in international law and the multilateral system since the 1970s, New Zealand today claims sovereign rights over an extensive sea and seabed estate that runs well into the West Tasman sea and deep into the Southern Ocean, abutting the waters protected by the Antarctic Treaty system. It’s not impossible to find foreign policy convergence between the Ardern government and the Trump Administration. New Zealand’s Prime Minister recently said her government ‘accepts’ the reasons for the limited use of force against Syria which was led by the United States with contributions from the UK and France. New Zealand and the United States have both endorsed the evolving dialogue between South and North Korea. And while Trump and Kim Jong-Un may not be able to make the region great again, Wellington will have taken some comfort that preparations for their meeting has delayed the chance of violence on the peninsular. Yet the areas of divergence make for quite a list. In her first major foreign policy speech as Prime Minister Ardern affirmed that a close relationship with the United States was ‘fundamental’ to New Zealand’s foreign policy outlook. But she also pinpointed two specific areas of difference. One was climate change. The Trump Administration’s withdrawal from the Paris agreement stands in contrast to Ardern’s pitch that this issue is the nuclear free movement for her generation. To get new posts delivered by email directly to your inbox, sign up below!